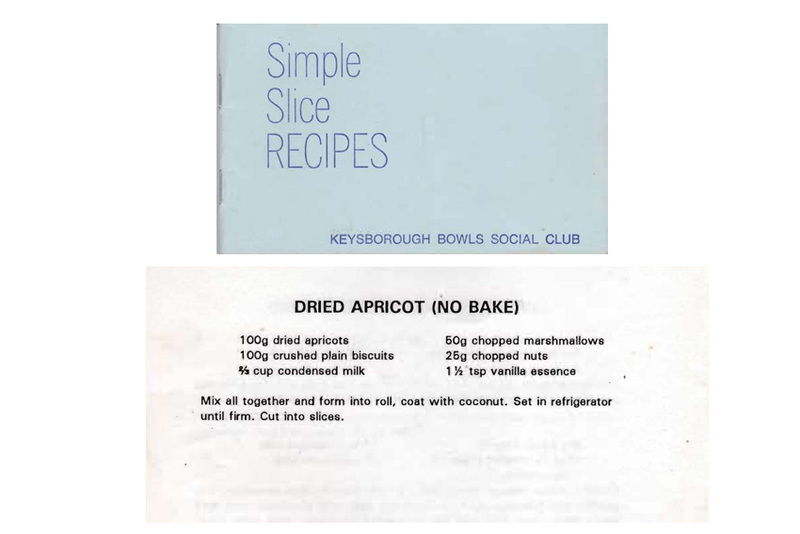 This is another easy slice to make and is great because it’s no bake and can be kept in the fridge until you need it. 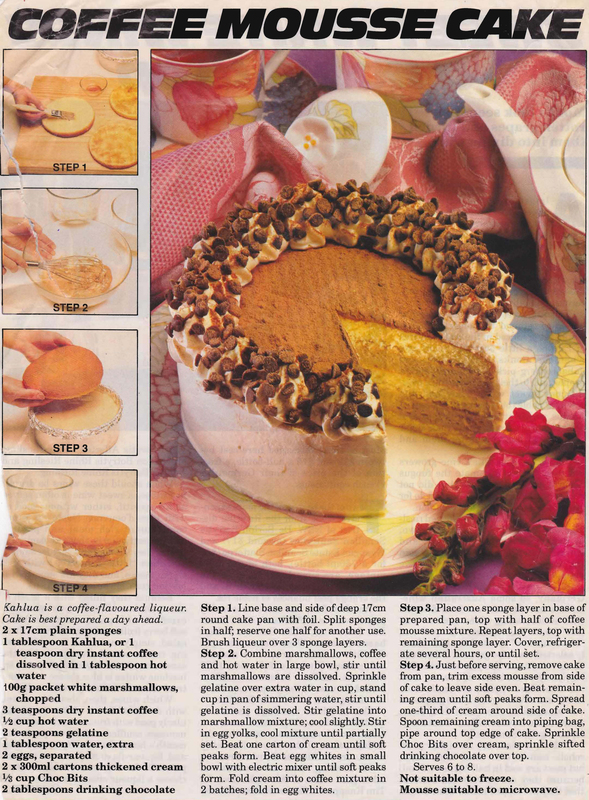 This recipe from the Women’s Weekly looks luscious. 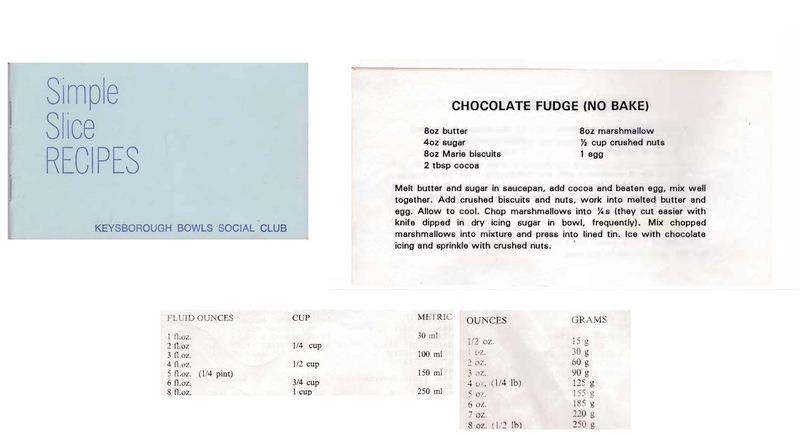 I’m always looking for recipes that you can make the day before an event, it just makes the workload on the day itself that much easier. I think this one would be a good one to try. 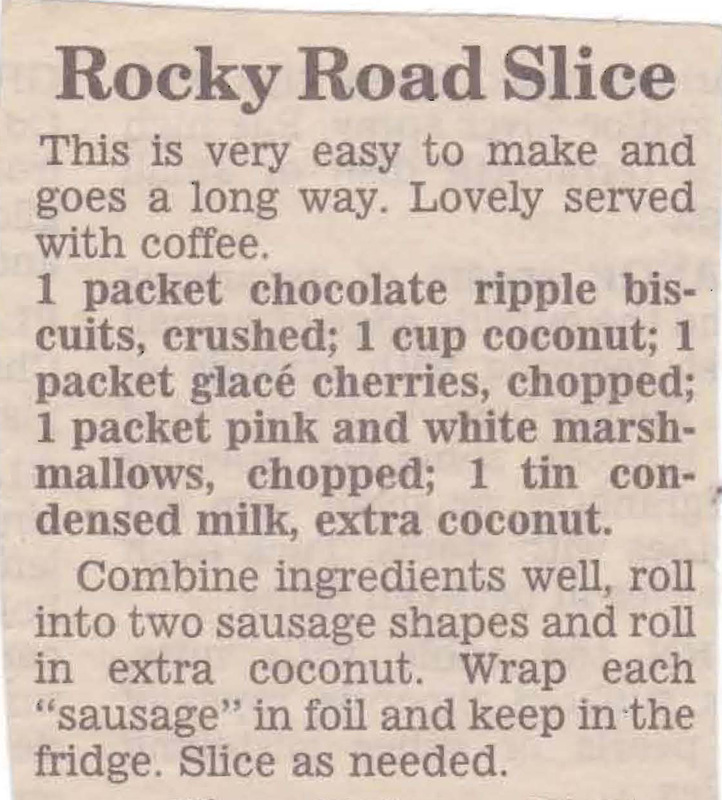 This one comes from a 1974 New Idea section named Tasty Meals on a Budget. It’s a rice bubble, banana, coffee and marshmallow delight. 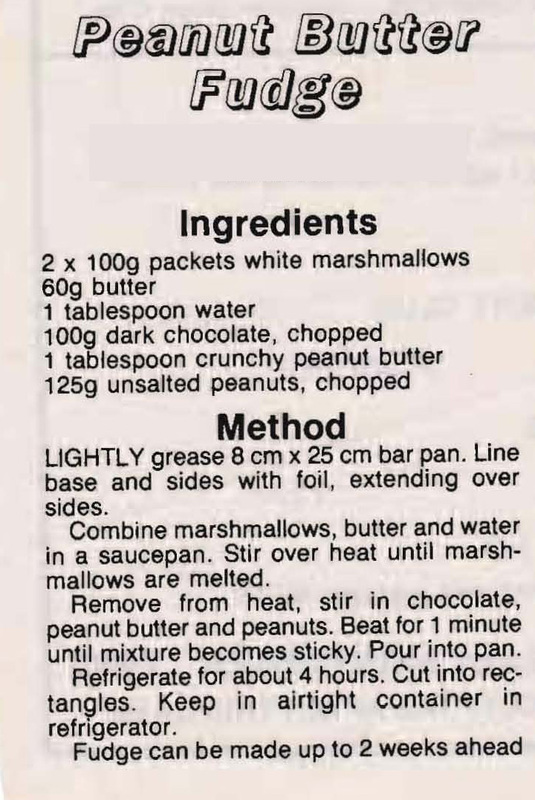 I can’t decided just how the filling would taste, although I do think it’s one for those who have a sweet tooth. 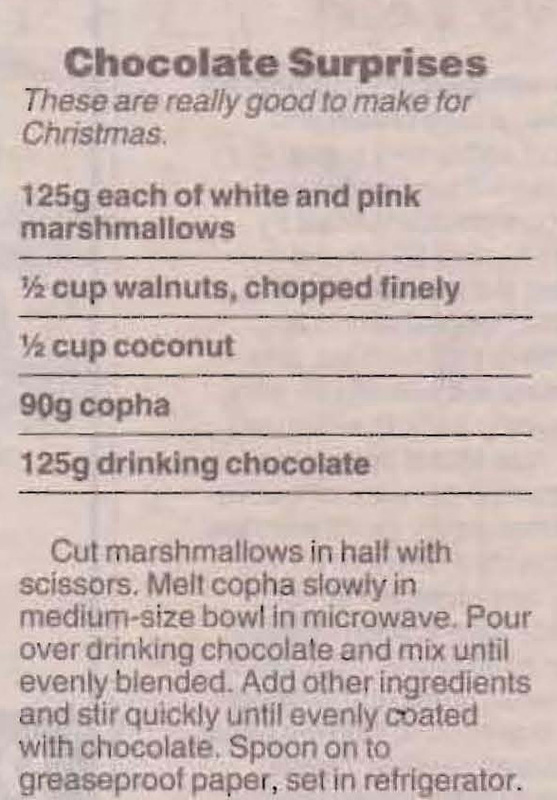 Marshmallows, coconut and chocolate with a few nuts added – a great sweet treat for Christmas entertaining. Although I think I’d be tempted to change the walnuts for some glace cherries just to make them even sweeter.